formerly Kerasotes Showplace 8 - Vernon Hills (Kerasotes ShowPlace Theatres, LLC.) which opened in November 1996. 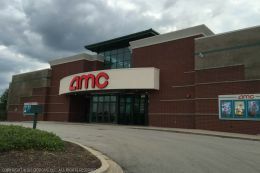 It was renamed to the AMC Showplace Vernon Hills 8 when AMC purchased Kerasotes in 2010. It was rebranded in 2017 to the AMC Classic Vernon Hills 8. This movie theater is near Indian Creek, Vernon Hills, Prairieview, Lincolnshire, Prairie View, Northbrook, Libertyville, Mettawa, Lake Forest, Buffalo Grove, Bannockburn.